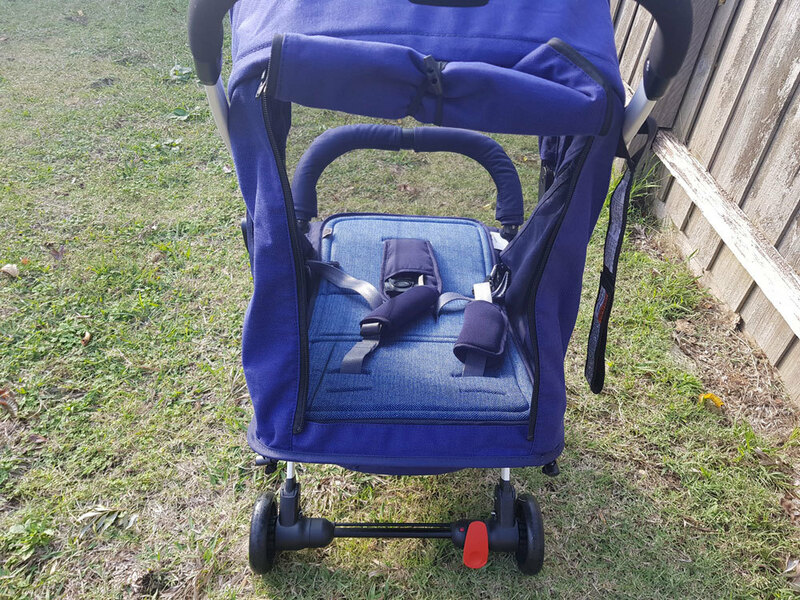 The Safety 1st Nook is a super light, easy to fold, budget friendly, compact stroller. Given its size it would make a great travel stroller. Also at its price point (Currently $269 at Baby Train) it would make a convenient second pram to keep in the boot, or at a grandparents house. 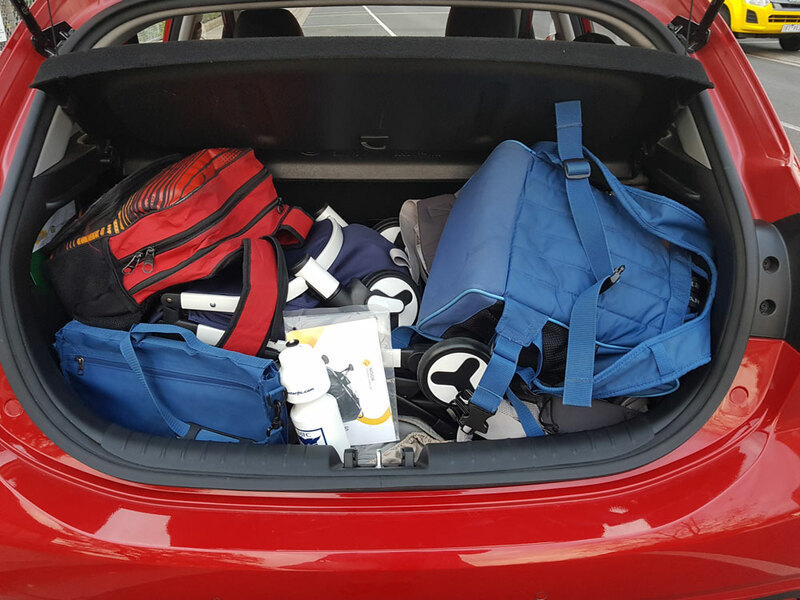 When I picked up the Safety 1st Nook from Baby Train to review the boot of my Kia Rio (small car) was already loaded up with stuff for work and for the kids. 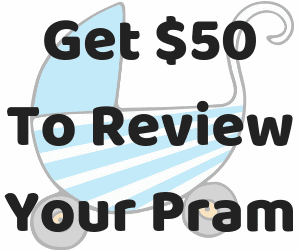 So I specifically asked to review a pram that was going to be super compact and easy to fold. You can JUST see the Safety 1st Nook tucked in there. Obviously this was not the day for a full sized pram. Also here it is with an empty boot so you can get a better idea of what it looks like folded without a mountain of things on top and underneath it. It also has a compact standing fold so it could be easily stored in a cupboard, or just tucked out of the way. 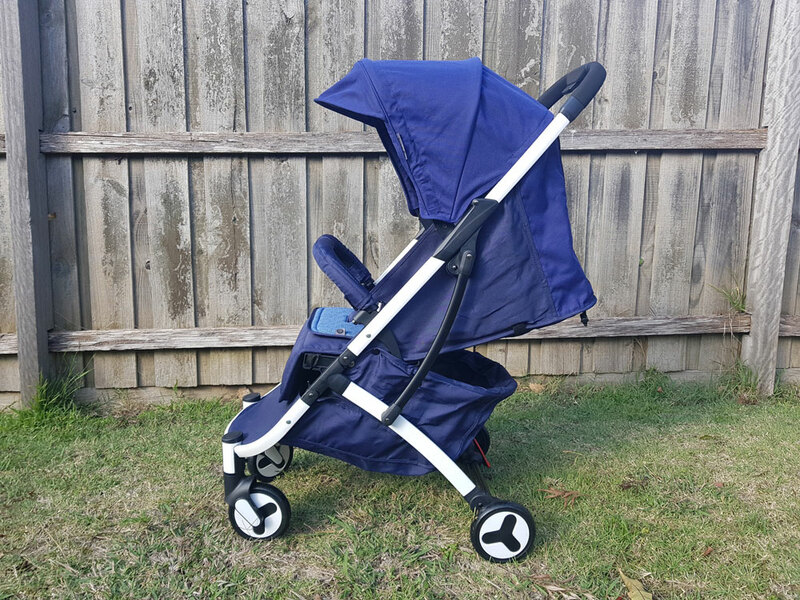 The Safety 1st Nook really is a perfect pram when space is your bigger concern. I think because the Safety 1st Nook is such a low pram, the seat is actually deceptively tall. While it only has a 44cm high backrest, it’s a very tall 63cm to the top of the hood. Meaning you could expect to fit about a five year old under the hood. 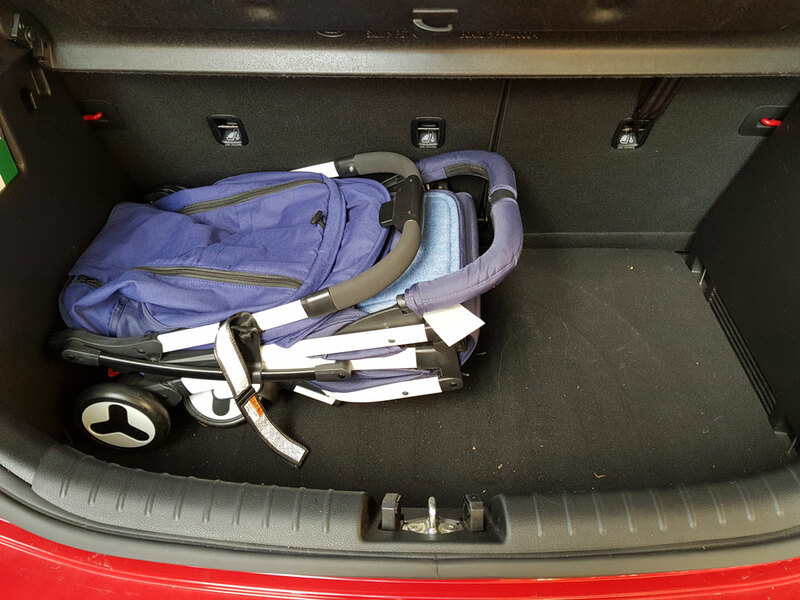 However, the main consideration for how long you could use the Safety 1st Nook would be that 17kgs weight limit. Also being budget friendly and lightweight means it’s light on features. So it doesn’t have an adjustable handlebar, it’s fixed in forward facing position, and it’s not travel system compatible. And being completely honest it may not be the most robust stroller long term. It is an inexpensive pram and it does feel cheaply made. So I maybe wouldn’t recommend it as an all day every day pram. But it would be a great second stroller to keep in the car or as a compact travel stroller. Or if you’re planning to babywear most of the time and you just need a compact pram as back up. 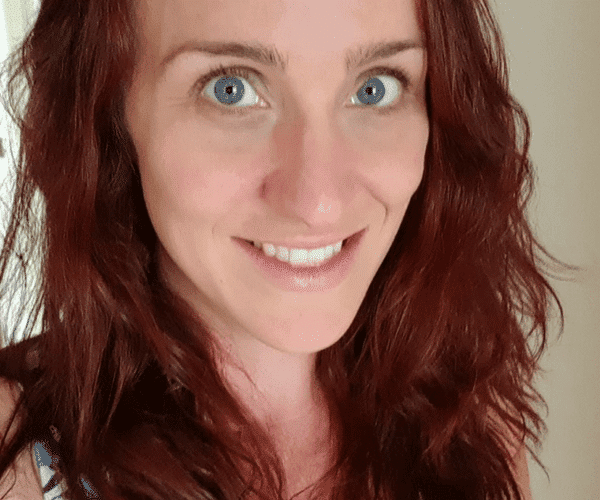 For more compact prams recommendations check out our Top Travel Prams for 2018. I borrowed the Safety 1st Nook to review from the lovely team at Baby Train.